My beautiful cottage garden, filled with bargains from my local garden center! One of my favorite things to watch for in the spring, besides my garden coming alive, is… the opening up of local garden centers. I get such joy, when I see the workers pulling out bags of fertilizer, soil mixes, and potted trees & shrubs, and I know that the center is almost ready to be open for business. I’ve learned alot while shopping at these places, and I have also learned some secrets along the way! You know how I am… I love to find ways that I can still have exactly what I love, while finding it for the best deal possible, if not for free. And, although that may seem impossible to some people, I see the process as an adventure! The local place that you buy your garden plants might be called a landscape center (or centre – depending on where you live), plant center, nursery center, farm center, or a garden center, but whatever your center is called, the following 10 tips will still apply to you. Not only will it be holding your new found treasures, but it also speaks “I am here to buy” to the those that you might be speaking to. When you are shopping for the best deal, there are a few “best practices” that you want to go by. One of them is, go for the best deals first, then take your time to browse around. If you don’t do this, you stand the chance of someone else walking out with your deal! You are most likely going to be making frequent stops to the center throughout the season, and you want as many friends as possible on the inside. Besides, they deal with enough grumpy people throughout the day, so your kindness will be a welcomed treat. I always ask myself…how can someone come into a place filled with such beauty and still be Mr/Mrs grumpy pants? Somehow some people still find a way…ugh! Do you think the staff looks forward to helping people like that? I think not! Because garden centers sell so many bags of soil, fertilizer, grass seed, and other bagged items, many times these bags get ripped. Instead of just throwing them away, many times they will put them in a plastic bag and sell them at a very deep discounted price! I’ve seen bags of product that might have originally cost $50, get marked down to $5! So, if you are in the market for grass seed, fertilizer, compost, or other bagged products, this is a great way to get the best deal! Tip #5: Head for the clearance racks! Unlike stores that sell other types of merchandise, garden centers have the challenge of dealing with living products, that are constantly moving through different stages of their life cycle. Unfortunately for the center, it is much harder to sell a flowering plant that is not yet in flower, or a perennial that has just finished flowering. Fortunately for us, we know that this is only a stage in the life cycle, and that this little plant will once again come into bloom! Ivy that I got for $2 per flat – 12 plants per flat! 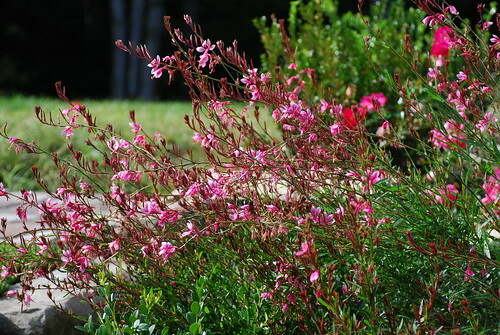 This gaura filled in so nicely & became a large focal point of my cottage garden – great deal for $1.50! Of course, this is only one reason why plants are put into the clearance section. Maybe the plants aren’t selling, or perhaps they don’t look as fresh as they once did? Whatever the reason, many GREAT deals are to be had in this section. I have purchased many .50, $1, $2.50 plants, that were normally $10, $15, or $40! The only plants that I do not buy in this section, are annuals that have already spent all of their blooms. Each store has a particular color that they use for their “sale” signs. Learn what color your garden center uses, then do a quick scan down the isles to catch a glimpse of where the sales might be. Many people that work in the plant center are full of knowledge, and want to help you succeed with your garden. Ask lots of questions, so that you can gain as much knowledge as possible about the plants you are about to purchase. This is free help, that will be very valuable to you! I’m sorry guys, but it’s SO true! Maybe they were put in the plant section because it was the only job opening in the store? Maybe they want to keep things less cluttered? Maybe they have different taste about what plants are attractive? I’m not exactly sure of the reason, but in my experience, they try to “get rid” of things as quick as possible…especially at the end of the season! You have no idea how many times I was able to get a great deal, just because I asked! You may need to speak with a manager to get a better deal, but after you spend enough time at your garden center, you will come to know the staff and who you might need to talk to. Here are a few examples of “deal starter questions” to ask. – Is this the best price available? – It looks like you have alot of these could I help you move them quicker? – This plant looks a little tired, maybe there is a better price you could give me? – If I were to buy several of these, what kind of deal could you give me? I sent a friend of mine to go pick up some large pots of flowers for the church. I described the ones I wanted to her, as I had fallen in love with them over the past week. They were very LARGE pots of ivy planted in a ring. The center opening of the ring was the size of an average pot of flowers. This opening made it possible to remove the current flowers, and replace them with different ones to match each season. They were so beautiful & I knew that we could do so much with them at the church. We purchased them in the fall, so we left the beautiful mums in the center until Christmas, then we replaced them with poinsettias. 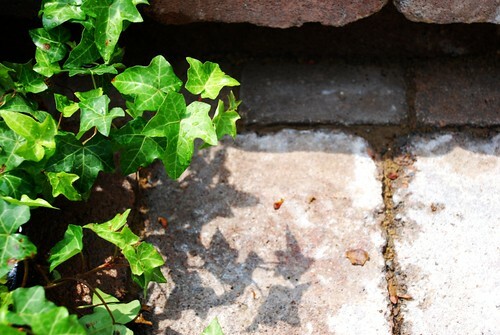 We were able to use spring flowers for a while, but because the ivy is an outdoor variety, it is now looking a bit tired…so I will plant it outside so we can continue to enjoy it! So much enjoyment for SO LITTLE money…all because we asked! I went into one of my favorite garden centers, and as I walked through the doors, I noticed a pallet of roses that had a sale tag of $5 each. Needless to say, I grabbed a long flat plant cart instead of the regular shopping cart. I looked at all of the roses in the store, not just the ones on the sale pallet. I found a male employee/manager, and said…”I see that there are some roses that are marked $5 here on the pallet, but how much are the similar roses over there in the back?” He said… “hmmm, well, I guess you can have any of the roses for $5”! Quickly thinking about my new gardens that need plants, I said…”Well, you see that I have already this large plant cart with me, and that I am prepared to buy. So, if I bought several roses, what kind of deal could you give me today?” He thought for a second and said…”If you buy several, you can have them for $2.50 each” Trying not to act to crazy with excitement, I said with a smile… “ok you have a deal”. Then, I proceeded to quickly find the most beautiful, most healthy, and biggest plants in the store! I was able to quickly set aside $600 of gorgeous roses… for which I only paid $37.50! 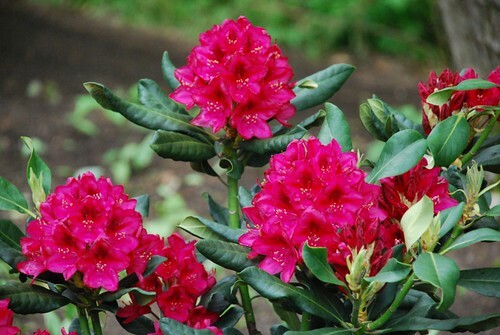 That day I also picked up all of the remaining LARGE rhododendrons for only $6 each, which normally sold for $45 each! I got that deal buy saying…”You saw all of those roses that I just took off your hands, so you know I’m a buyer! I see that there are 8 rhododendrons left on the shelf over there. What price would you give me, if I were to buy them all?” He said… “If you take them all, you can have them for $6 each!” So off I went singing the Hallelujah chorus, and giving thanks all the way to the car! Hardy Hibiscus only $10 for a box of 15 LARGE roots! * At the end of the season you can get SUCH good deals, so I make it a point to go in more often during the last weeks of the season! Because garden centers have to pay to have dis-guarded plants & un-purchased merchandise hauled away, many times they will be open to having you haul it away for them…for free of course 😉 Just talk to them about their policy, then offer to leave you number, and tell them to feel free to call you when they have items that they can’t sell. If they are of interest to you, this is a way to get them free of charge. 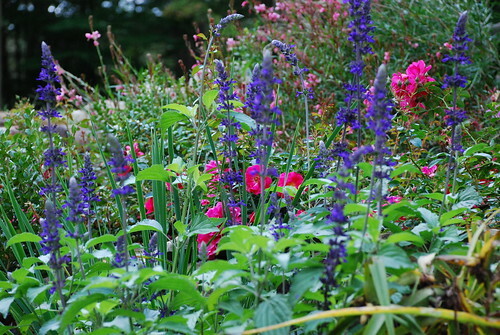 Of course the plants will most likely need a little TLC, but hey… you’re a gardener & that’s what you do! Not only will this help you to become more familiar with the plants, but you will also be able to develop a better relationship with the staff. You will also start to see the patterns that happen in your stores every week. 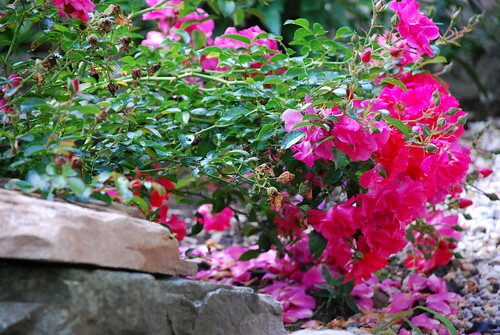 – There are new sales with each new shipment to help make room for new plants. – There are new sales every week to go with the newspaper ads. – Clearance mark downs happen on a whim… first come first served! If you don’t visit often, you will miss out on all of these great deals! 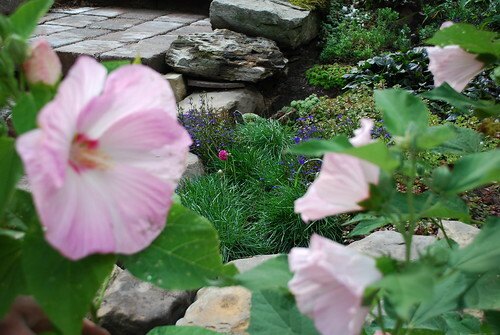 Enjoy your new deals, and making your garden exactly what you want it to be! What tips or thoughts do you have? Be sure to leave them in the comment section below!